I bought this on gmarket with the help of my supplier. I repeatedly use it once or twice then put it away until recently.. I start to use it everyday!! What's so good about it?? Concealer is not needed, if you only have small pimples, light eye circles, it can cover well ! I set my face with loose powder afterwards, perfect finish! I like the fact that it doesn't contain SPF ! I normally use sun protection before I apply my BB cream anyways, so I really don't need a BB cream with SPF to increase pressure on my skin! 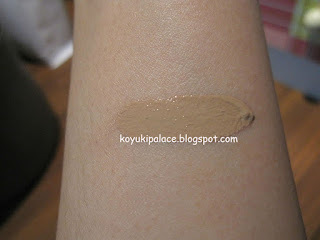 It only comes in 1 shade, which has a yellowish tone, suitable for Asian ladies. 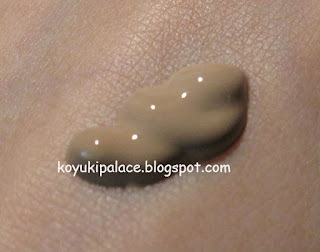 There's nothing I don't like about this BB cream, it's one of the best I've ever tried !